For those who don’t know, Dave Ramsey is the author of a series of books and the host of a popular radio show. The theme of the show and the books is getting out of debt and generally getting your financial house in order. He calls this state, financial peace. Clips can be heard at his website, http://www.daveramsey.com/radio/home/ . He offers great advice on setting yourself up into a position where you can start investing and growing wealth (by getting rid of all of your debt and spending less than you make so you can invest). The also has some great books on personal finance, including Dave Ramsey’s Complete Guide To Money and The Total Money Makeover: Classic Edition: A Proven Plan for Financial Fitness . 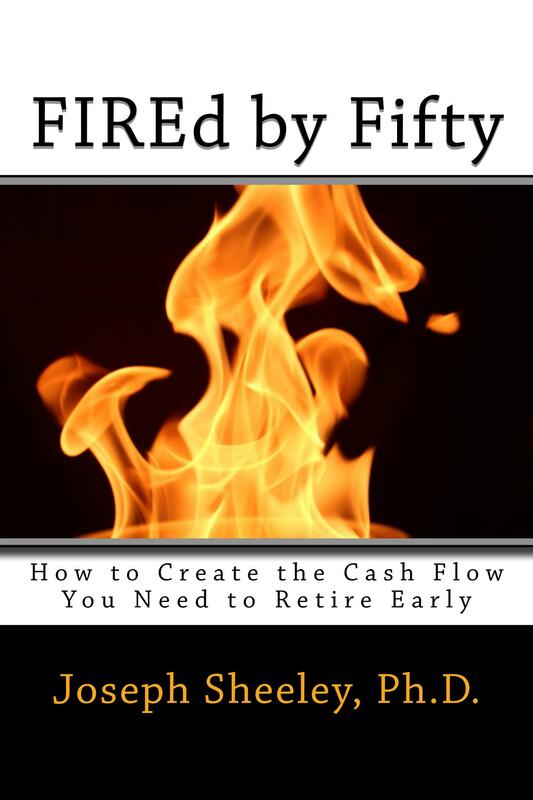 FIREd by Fifty: How to Create the Cash Flow You Need to Retire Early where I give you information on how to develop a cash flow plan to build wealth to reach financial independence. This is the state where you have enough income coming in from investments to pay for everything you need. The Little Book of Common Sense Investing: The Only Way to Guarantee Your Fair Share of Stock Market Returns by John Bogle. This was written by the founder of Vanguard and a pioneer in the use of index mutual funds. While I do not agree that mutual funds are the only way to go, ownership of only one stock is not advisable, and the number of stocks owned should grow as one’s tolerance for risk declines. To invest in individual stocks, one must understand their behavior and plan accordingly. The price of individual stocks changes rapidly, and sometimes for no good reason. The current price offered reflects people’s feelings about the near-term prospects for the future, what the market is doing, what people expect others to do, where other investments are priced, other events in people’s lives, and recent movements in price. One cannot buy a stock and expect 10% to be added to their bank account year after year just like a savings account. Some years it will double, other years it will fall by 50%. Some years it will move up or down by 2%. Bad things do happen to good companies as well, and sometimes individual stocks fall rapidly in price, sometimes never to recover. Because of this, placing large amounts in only one stock or even just a few stocks is foolish. There were many retirees from GE who watched their life savings implode along with the price of GE stock during the last recession. If you have large sums of money, you should spread it out over a number of stocks, and even into different sectors and asset categories (stocks, bonds, treasuries, etc…). For those who do not have a lot of money, however, concentration in a few stocks can be a good thing. If one is a fairly good stock picker, or even picks one huge winner out of five, one can do very well. The difference is that if one has a lot of money, the risk of losing a large sum outweighs the potential rewards that can be gained through concentration. If one only has a small sum to invest, however, it is worth the risk of suffering a loss. If one only has $1000 and it grows at 10% per year, one would only have $2000 after 7 years. It is worth the risk of losing the $1000 for the potential to have $10,000 after those same seven years. That said, you should be contributing to retirement accounts like 401Ks (10-15% of your paycheck if you want to be assured of a comfortable retirement) and investing that money in mutual funds. You don’t want to risk your retirement on your stock picking. You also want to start diversifying into mutual funds as your portfolio value grows. As some of your positions get large, sell a few shares and buy shares in a fund to start to protect your gains. The greater the portion of your portfolio that you have in mutual funds, the less volatility (meaning how much your portfolio value moves up or down) you’ll see. You’ll also be reducing your potential rate of return, however, so holding onto a few single stocks is often worth the risk. Hopefully, you’ll do so well that while the percentage of individual stocks you own declines as you get older, the absolute value will stay the same or even grow because your portfolio will just get that much larger than when you started. 1. Never have more in one position then you are willing to lose. If you cannot afford a loss of $1000, you do not belong in individual stocks. Very few people (except multi-millionaires) could afford to lose $100,000, so positions that grow so large should be split up into smaller positions. 2. On the other hand, make sure positions are large enough that if one is right about a stock, one make’s a good profit. It does no good to be right about a stock that goes from $20 to $40 if one only has $500 invested since only $500 will be made. Make sure to take large enough positions so that your winners will result in a large return. 4. 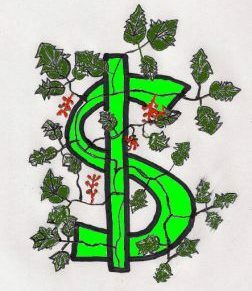 Have money that is really needed in the next five-ten years in cash. Again, if you will be retiring soon, there is nothing like having enough to live on for five years in cash. It was sad to hear of so many putting off retirement because of the recent recession. These individuals should have been sitting on a pile of cash such that they could care less about the stock market drop. So how many stocks should I have? Note that as account values increased, I went ahead and increased the amount I have in each position to around $50,000 since now, a $50,000 loss would only by 5-10% of my total portfolio. I would also start shifting some money into index funds as the account value grew, so with $1 M I might have $750,000 in 20 individual stocks and about $250,000 in index mutual funds. Still need more help? In the SmallIvy Book of Investing: Book 1: Investing to Become Wealthy I lay out a strategy I call Serious Investing which uses long-term investing in concentrated positions as a way to grow wealth . It covers all of the types of assets that you will need to know, the risks involved, and what you should be doing at each stage in your life to reach your financial goals. It also discusses the types of stocks to invest in if you want to grow wealth. Choosing the right kind of stocks is just as important as choosing the right number. Please consider checking it out. Previous Your Stock’s Way Up, but You Don’t Want to Sell. How to Delay Capital Gains. I love buying individual stocks. Granted, I do a lot of research and I own a good handful of different ones so it’s basically a diversified fund. I started out when there weren’t a lot of mutual funds to be had, least not reasonably priced ones, so stock picking was a must. Index funds make it a lot easier, but I do think there is still a role for individual stocks. Great post! Am interested in owning some large cap dividend stocks to aid cashflow returns, but the majority of my portfolio would be in ETFs or mutual funds. Thanks for the info! Love the thought put into this post, fair strategy, personally I would check out Phil Town’s Rule #1 investing. Quite the book, extensively knowledgeable, and may answer some of your worries about a potential stock crash! Let me know what you think, great post! Great post! Started investing in the stock market at age 13 back in 1998, made a killing until 2008 and 2009. Continued investing in stocks until 2013 then switched mostly to real estate. The two are very different. The best thing about real estate investing in our opinion is easy leverage. The best thing about stock investing is you can do 100% of it without leaving your house. We’re fairly similar. I started stock investing at age 12, then saw the crash of 1987 (down 25% in one day). I’ve looked at real estate, but, other than the leverage, it doesn’t seem like the returns are as good as you can get from stocks, plus there is a lot less hassle with stocks. I do invest in REITs, but am not interested in spending a weekend rehabbing or going to court to evict a tenant who won’t pay. I am thinking about buying some land, building some cabins, and then renting those out for tourists. You can leverage with stocks too, borrowing up to about 50% of your account. This is considered risky, however, just as it actually is with real estate. People just don’t realize, however, the risks involved since they tend to hold houses for long periods of time and don’t realize the price fluctuations that are involved. With stocks, you can find out every minute what the current value is. They learned in 2008, however, that houses can go down in value substantially. Having traded stocks for 10+ years and being a real estate investor, we’ve seen both sides. The great tax benefits (1031 exchange, depreciation, and others) are other reasons in our opinion that we give real estate a slight edge over stocks. You mentioned not really knowing the exact market value of real estate every moment. We see that as a slight benefit to real estate because it’s a lot harder to freak out and sell a house, duplex, or mortgage note with the click of a button. Right now we are buying the S&P 500 and have about 20% of our wealth in stocks and the other 80% in real estate. We’ve held a single stock that increased in value more than 1,600%; that would never happen with Oklahoma City real estate (where we buy real estate). In summary, we’ve seen the potential upside is much higher with stocks and (if done correctly) the potential downside is much lower with real estate. The potential downside is higher with stocks and the potential upside is less (in a low appreciating market like Oklahoma City) with real estate. I suspect that the potential downside is 100% for both (see black mold, floods, Detroit), but probably should learn more about real estate since it does seem like a good way to generate income that isn’t stock market corellated.